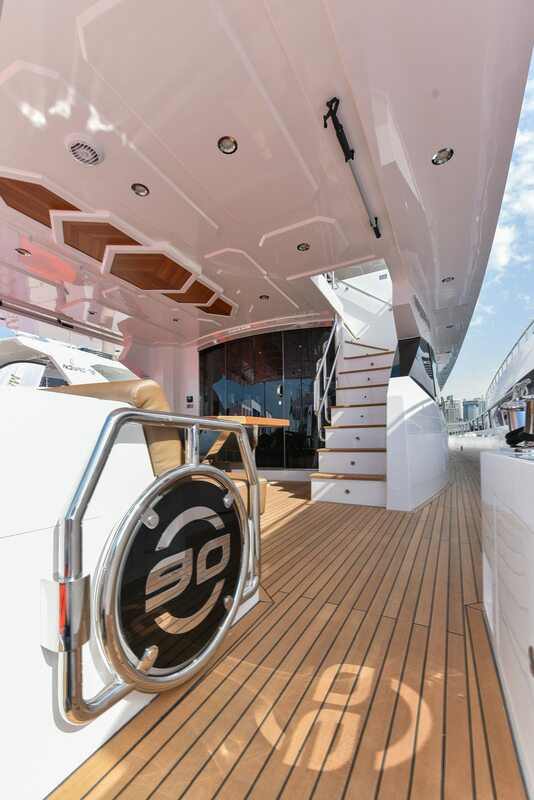 The Majesty 90s is the largest model of the Majesty-Yachts series by Gulf Craft. On deck are the large aft deck, the bow area with sofa and sun deck area, the great flybridge with practical layout and huge space leaves no wishes unfulfilled. The huge bathing platform, which invites you to swim, can be equipped with a transformer.